You can almost imagine a pelican coming to rest on this lamp that gets its inspiration from the warf. 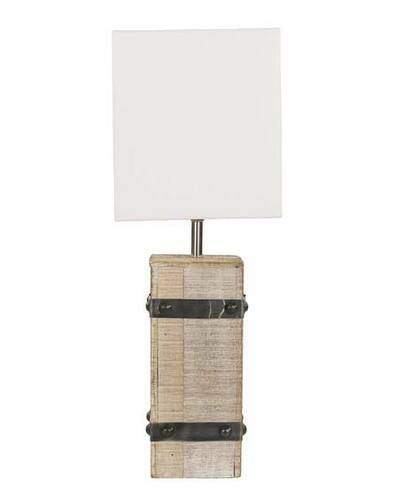 The Duluth Table lamp features iron and mango wood with a whitewash finish. The white cotton shade measures 8.66"W x 8.66"L x 9.84"H. Takes one 60 watt bulb, not included. Overall Dimensions: 8.66"W x 24"H.